Our kids go banannas about banannas, so we always have a lot of them in our house. Enough for smoothies, snacks, and the occasional banana bread. 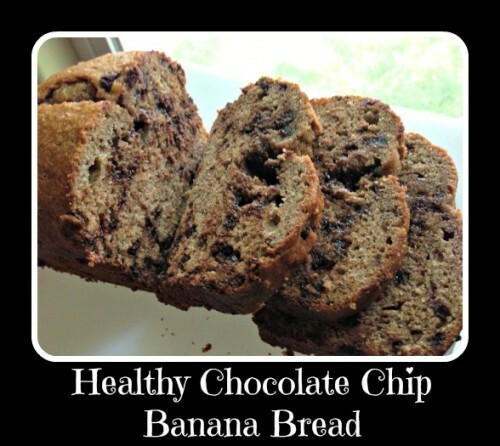 All the kids and adults in the house love this bread for breakfasts and snacks! Combine the flour, baking powder, baking soda, and salt in a bowl and set aside. Combine the honey, butter, eggs, bananas, yogurt, and extract in a mixer and mix on medium until the bananas are fairly well combined with the other ingredients. Do not over mix. Bumps and lumps are good. Add the chocolate chips and mix until they are well distributed in the batter. Pour the batter into an oiled bread pan and bake at 350 for 60-70 minutes, or until a toothpick inserted in the middle comes out clean. This recipe doubles well, and the bread can be frozen for later use by wrapping in plastic wrap and a plastic bag. I hope you try this recipe and let me know how it turns out! I’d have to make without the chocolate chips. This sounds good! Pinning it!! This looks so yummy, and I love whole wheat! Pinning! !